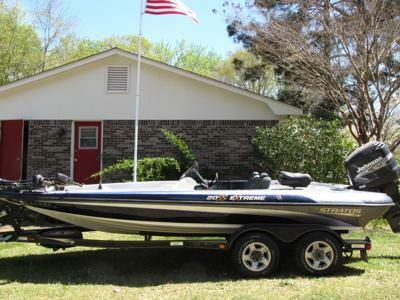 6/22/2012 (Columbus, Georgia) - I have a 2001 Stratos with a Johnson 225 hp tandem trl ready to fish. My health forces sale. Will consider all reasonable offers. Contact Al at 706-975-0451 for more info. Join in and write your own page! It's easy to do. How? Simply click here to return to Boats.